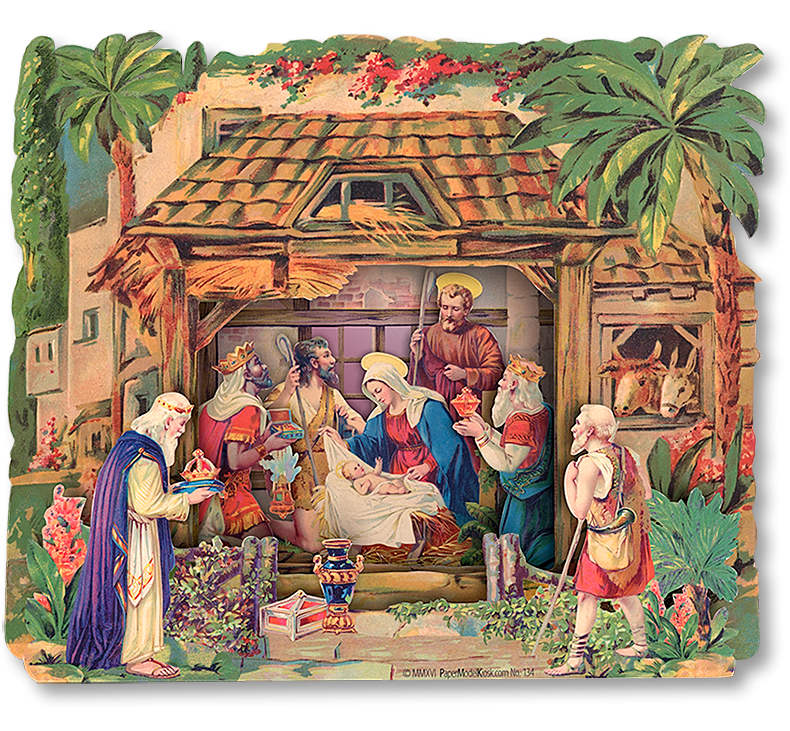 The Cypress Crèche's additional fence adds to its marvelous 3D effect. 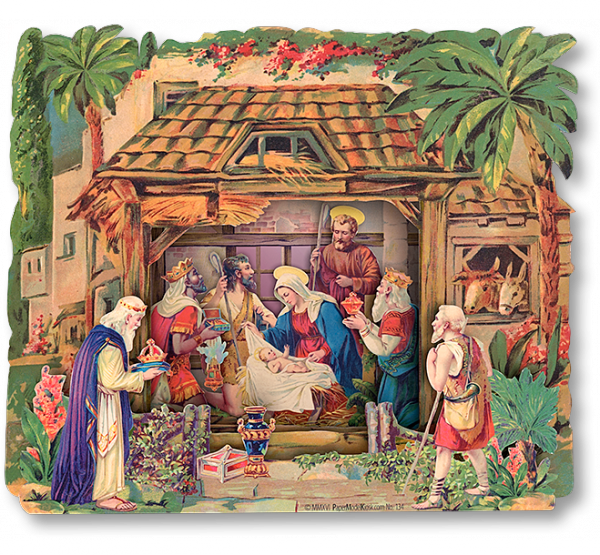 Original Front and plain Manger of the vintage Cypress Crèche. Sometimes, even a lovely original can be enhanced, and this was the case withthe Cypress Crèche. As you can see from the front at left from the Celso C. Battistini Rosa Collection, the standing Magi and Shepherd are attached to the front. In the Crèchemania Premium Download version, these two figures were moved to the front, to the fence layer, enhancing the 3D effect. Also, the plain Manger of the original nativity was rather unsuited to the rest of the lovely artwork. So, it was replaced with one featuring stone, wooden beams, and window panes that could be replaced with cellophane. One of the battery-operated candles placed behind them would fill the Cypress Crèche with soft light. Another point of interest—not really visible in the small image at left—is the glitter sprinkled all over the front. It would have reproduced as purple specks, but, luckily, the Crèchemania Collection edition was sprinkle-free. That's why it's Cypress Crèche—not Sprinkle Nativity! 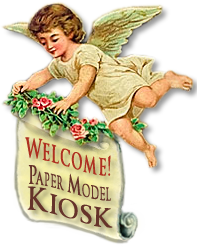 A Premium Download of a Crèchemania edition of a vintage paper nativity to print, cut out and assemble. A PDF of instructions makes assembly easy with step-by-step directions and clear diagrams—although you won't probably need to read a word to create this beautiful pop up nativity. Size: 8 x 7 x 2 inches.